The Duplex Supermill Plus® media mill is designed with two horizontal chambers on one common frame. The product passes through the first chamber and directly into the second chamber without the need of a surge tank or separate feed pump. 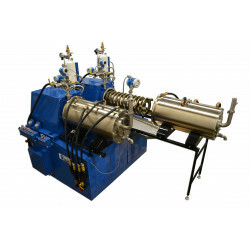 The Duplex Supermill Plus® media mill is designed with two horizontal chambers on one common frame. The product passes through the first chamber and directly into the second chamber without the need of a surge tank or separate feed pump. Typically, larger media is charged in the first chamber and finer media in the second chamber. 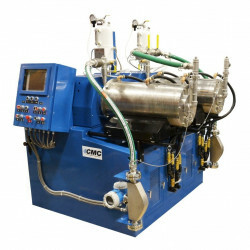 This enables two stages of grinding in one continuous pass. 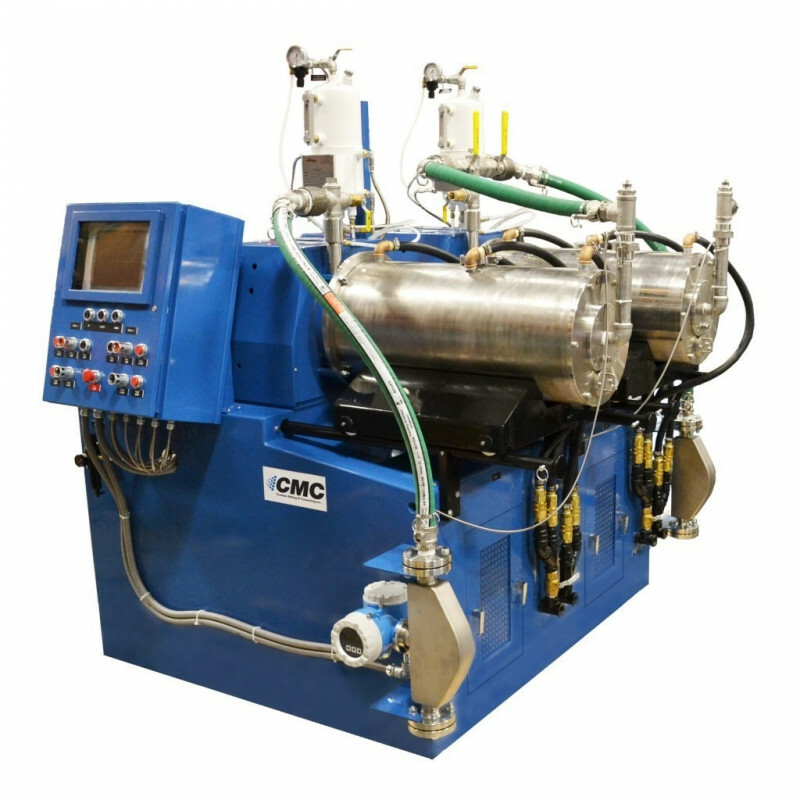 CMC’s Duplex Supermill Plus® can also be configured to work as two separate horizontal media mills. The Supermill Plus media mill is the latest in horizontal media milling technology. Today’s demanding applications require ultrafine, microscopic particle sizes. With its fl exible design the Supermill Plus® is able to process a wide variety of products and handle a range of viscosities. We offer a durable, efficient and maintenance friendly machine to incorporate into your production.